One of my personal favourite decor ideas is to interchange tall and short centerpieces on a table. 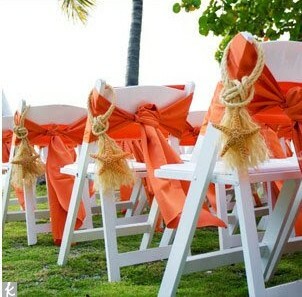 Perfect for an outdoor wedding are these white chairs wrapped in fabric of your wedding colour! An added [tropical] touch are these starfish tied with rope. Beautiful. 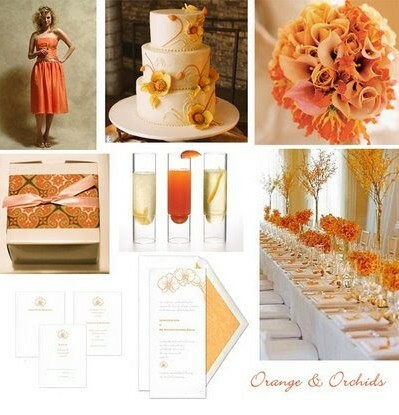 Pull away from the ordinary white table cloth and opt for a bright colourful colour, such as orange. 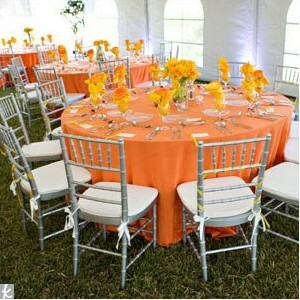 It looks especially beautiful surrounded by silver chavari chairs.